No matter how much talent you have or how hard you work in the gym, there is going to come a day when it’s time to hang up the leotard. Whether your gymnastics career is cut short due to fear, finance, injury, or time restraints – sooner or later, it will happen. 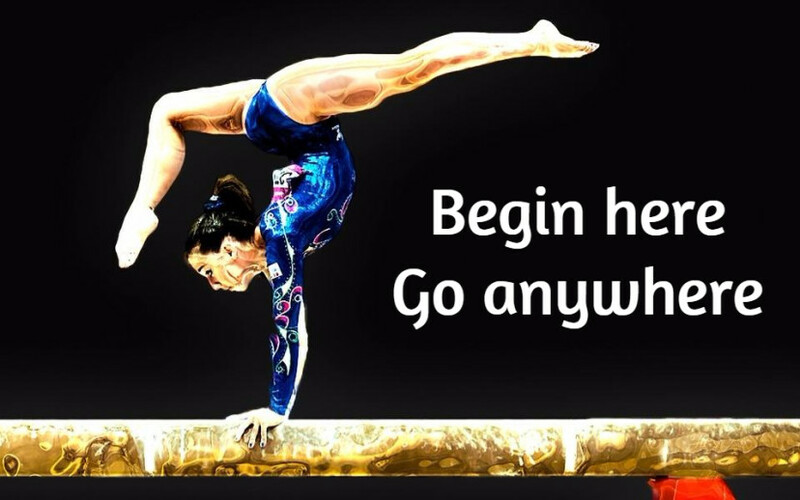 Instead of worrying about what you are going to do when your gymnastics days are over, you should make a plan now. One thing to consider is what sport will allow you to transition easily. After all, gymnastics helps create all-around athletes, which means your body is pre-disposed to lend nicely too many different types of athletics. Below, we will go over seven popular sports that gymnasts are perfect for. If a gymnast’s favorite part of competition was the balance beam or the floor, switching from gymnastics to dance is a no brainer. Better yet, the years of acro skills, performance in packed gyms, and flexibility lend very well to gymnastics. At some schools, dance is even a collegiate sport. Gymnast also don’t have to commit to one type of dance because there are many to choose from including lyrical, ballroom, modern, jazz, hip-hop, and ballet. Gymnasts count on their balancing skills to help them in many events. Mastery of balance is necessary for the sport and also makes gymnasts naturals at other sports that require balance such as snowboarding. When a gymnast is flying down a mountain, their aerial training will naturally kick in. They will be able to know exactly how much momentum to the right or left is needed to avoid obstacles. If your son or daughter isn’t a fan of being cold, you can check out water skiing or even wakeboarding, which is basically the same as snowboarding but on water instead of snow. While not as obvious as cheerleading, track & field is also a popular sport for retired or even current gymnasts to compete in. Most track & field teams are sponsored by schools, so current gymnasts can compete without much interference to their gym schedule. Not many gymnasts opt for the long races. Instead, gymnasts are usually a natural choice for sprinting and hurdles. Vaulting and tumbling make gymnasts fast runners and hurdling isn’t an obstacle for gymnasts who can easily manipulate their bodies. For gymnasts of moderate or taller heights, the high jump or pole vault are also excellent choices. Have you ever watched young gymnasts tumble, vault, dismount, or spin on the high bar and thought to yourself that they look like a ninja? Well, these stealthy skills make gymnasts perfect for martial arts. No matter what type of martial arts a gymnast chooses to enjoy, they will definitely use the timing, strength, balance, and flexibility skills that were learned as a gymnast. There you have it, seven sports that any former or current gymnast should consider when it’s time to finally retire their leos. It’s important to remember that there are several ways to enjoy gymnastics after the competition years have passed. Some gymnasts are perfectly happy with working with younger gymnasts, coaching, or running a gym. Others still crave the competitiveness that ruled their competition days. Checking out the seven sports above may be what a gymnast needs to find their next big thing.